With solar becoming the lowest cost source of new energy at less than $30 per megawatt hour (MWh) and zero escalation, gigawatts (GWs) of Utility-Scale Solar Photovoltaic (PV) systems have been deployed, creating a revolution in the energy business. Beginning in 2010, gigawatts (GW) of Utility-Scale projects have been commissioned each year. Initially, these systems were built with the 600Vdc products from the industry-leading inverter suppliers of the time. The typical design had two to four 500-kilowatt (KW) inverters on a pad with a shared medium voltage (MV) transformer. Unfortunately, after nearly a decade in the field, these machines have become unreliable, with one utility company observing that they “can’t keep up” with inverter repairs (despite dedicating four O&M technicians to service 150MW). Another owner noted their 100MW+ plant experiences weekly inverter failures, with equipment down for weeks, due to the OEM’s lack of responsiveness, even for products under warranty. This reality is incredibly expensive for the industry in terms of lost production, and major unanticipated costs for O&M teams and spare parts. Fortunately, there is a solution. Like all components in the PV value-chain, inverter technology has improved in efficiency, power density, reliability, and price. Modern Central and String inverters enable rapid and low-cost repowering, with payback terms of 3-5 years before the ITC, through increased production/revenue and lower O&M costs. Today’s inverters come in 1000Vdc and 1500Vdc versions, run at 98.9 percent maximum efficiency (vs. 97 percent for installed hardware) and have dramatically improved reliability (up to a 55 year MTBF) with quick spare installation. What’s more, the increased power density of the new models allows for small footprints, meaning existing pads and MV infrastructure can be retained. It’s beneficial to repower - the price point for these inverters is 80 percent less than the 2010 vintage machines. While each system is different, and requires a specific evaluation of single-lines combined with aerial IR inspection, some best practices apply when planning an inverter repowering. The first objective is to change as little as possible. This starts in the DC field, where the goal is to retain modules, cabling, and combiner boxes. Another critical item to retain is the MV transformer, an expensive component with a great deal of life left at the 10-year mark. Preserving these original components will minimize labor, downtime, and permitting costs. Next, for 600V systems, string voltage needs to increase for the new 1000V inverters’ MPPT. One way to achieve this is through DC-DC Optimizers. These components combine existing strings, present a higher MPPT voltage to the inverter, and can increase the DC energy available for conversion up to 3 percent by improving the original field’s string mismatch. Furthermore, the higher combined strings’ voltage turns inverters on earlier in the day, and off later at night. While systems are modeled to lose 0.5 percent of production annually due to module degradation, in the real world, strings degrade at different rates. Optimizers increase high degradation strings’ voltage that lowers overall degradation 0.25 percent per year, or 6 percent over 20 years. Earlier systems utilized 500KW central inverters on a skid with 35 SF footprints weighing 3,670 pounds. 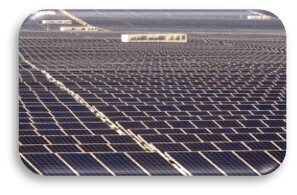 These can be replaced with five 100KW string inverters with 1’ x 2.33’ footprints, and weighing 165 pounds per inverter. The small footprint creates an opportunity to retain much of the skid, DC & AC cabling, and MV infrastructure. With monitoring and on-site spares, it also enables a 2-hour replacement. Alternatively, two 500KW inverters can be replaced with a central 1,000KVA inverter that has a footprint equal to one 500KW inverter. Repowering larger inverters requires careful analysis around reusing the transformer, and minimizing skid rework and crane time. 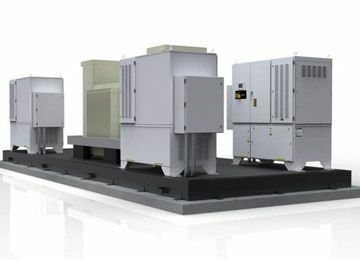 1MW 600V inverters can use a DC/DC optimizer with all the optimizer benefits described above, and be directly replaced with a modern 1000V, 1,000KVA Inverter. 1000V systems can be replaced directly with a 1000V 1,165kVA system, or use DC-DC optimizers to step string voltage up to 1500V to leverage 1,800kVA inverters, with approximately 20 percent better CAPEX. The cost to implement a repowering, while project dependent, includes evaluation and engineering, new inverters, cabling labor, and may require new combiner boxes (and some lost production during installation). If minimal system changes can be achieved, this cost can be in the mid-single cent/W range. After repowering, owners enjoy dramatic economic benefits. The improved inverter efficiency increases production almost 2 percent. A field demonstrating 97 percent availability can be updated to more than 99.5 percent availability with Performance Guarantees. New inverters have optimized cooling systems increasing high temperature production during valuable peak demand. If optimizers are deployed, the DC available for conversion can be as much as 3 percent higher. Altogether, repowering results in up to 7 percent more production and revenue. Additionally, O&M costs are significantly reduced. A large project experiencing weekly failures requiring truck rolls may spend $1,000 to $8,000 per roll (depending on repair duration and cost of parts) on top of the cost of dedicated technicians. Eliminating such costs can mean six-figure savings each year. The cumulative repowering benefit drives a 3-5 year payback (before taking the 30 percent ITC), for projects with PPA rates of $0.07-0.11/kWh. Some firms in the renewable financing sector can mitigate repowering costs by writing short-term loans, which are cash-flow positive for the 5 years, until the loan is paid back. A remarkable revolution has occurred in the last decade, making PV the lowest cost source of energy. The pioneers who first adopted solar power have assets that can benefit from new and improved technology. Using state-of-the-art inverter and optimizer technology, these owners can enjoy increased production and revenue, with the low operating expense they were promised. Neil Shea spent 25 years in the semiconductor and technology business at companies like Intel, VLSI Technology and multiple start-ups in a variety of Business Development, Marketing and General Management roles. In 2007, Neil joined the solar business helping launch a PPA start-up, worked to build SOLON’s North American module manufacturing, Development and EPC businesses before driving Gehrlicher Solar / M+W’s EPC and Development efforts. Currently, Neil is at Ingeteam helping build its PV Inverter, Storage & repowering business.